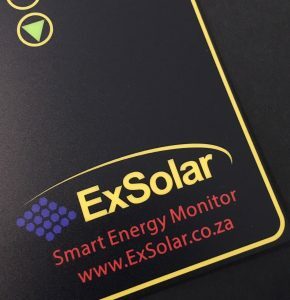 Designed and built for Exsolar, the advance energy monitor is built to log all your energy usage and production. Unlike all other monitor solutions, this product provides realtime per second data resolution archived for over 1 year included in the price. This high resolution data is what you would expect from top end data logger systems like Fluke etc. except we provide logging to 3 AC channels current and power, AC voltage, DC voltage, current and power. There is no other product on the market with these features for this value! 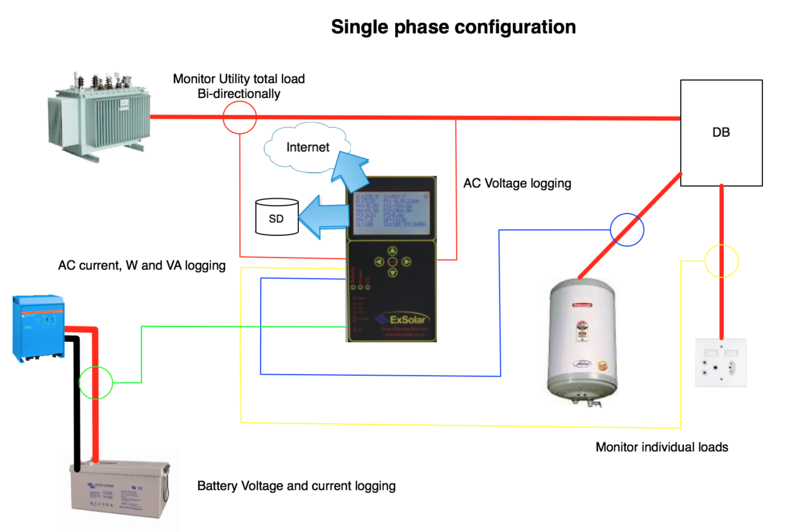 Designed for residential or office energy monitoring and data logging. Per second SD card logging in CSV format for detailed analysis and database uploading. RS-232 data export for realtime database integration. GSM, Wifi or Ethernet RS-232 modules available. Wifi is also available as an internal option. Internal Wifi module now also available. 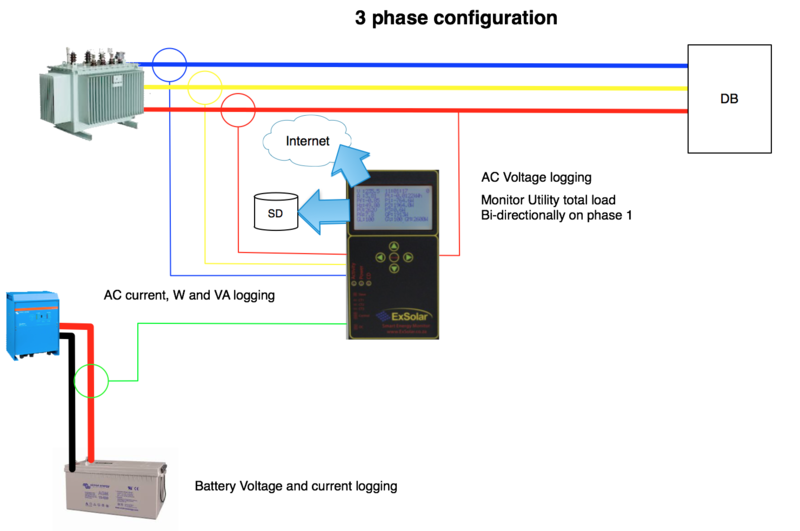 1 AC Voltage and up to 3 current probes. 1 DC Voltage and current probe. DC voltage range 1 – 100Vdc. Realtime, hourly, daily and monthly onboard reports. If you have RS-232 modules, realtime reports are also available from anywhere you have network access. The 3 phase unit and single phase unit are now the same unit. The only difference is the number of CT’s and also their size. There is a software setting to change the mode of operation. Please note, as the unit only has 1 voltage measurement, voltage and power factor is assumed to be the same for all phases.